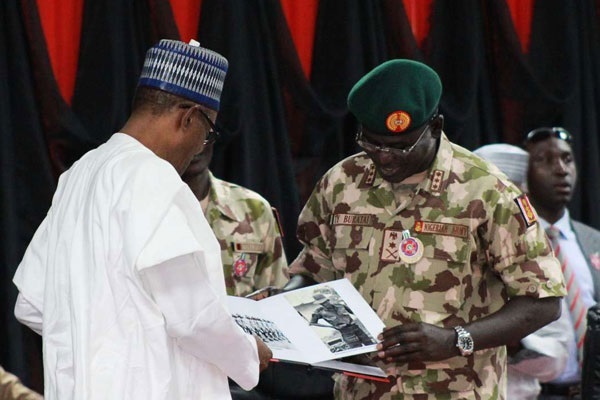 President Muhammadu Buhari has reaffirmed that no part of Nigeria was under the control of the Boko Haram terrorists. While acknowledging that it had not been easy financing the security sector, the president said the Nigerian Armed Forces were equal to the task. He called on Nigerians to remain vigilant and supportive of Federal Government’s efforts to ensure the security of lives and property. President Buhari, who is in Poland to attend the UN Climate Change Conference COP24, regretted that herdsmen and farmers' clashes in Nigeria had been politicized, and assured that the government would continue to “prioritize security because that is what many investors consider first before investing in the country’’. The Nigerian leader reiterated that his government would continue to remain focussed and deliver on the three focal points of his campaign in 2015: security, economy and the fight against corruption. ‘‘We are not doing badly on security, economy and agriculture. We have virtually stopped the importation of food especially rice and we are saving a lot of money," he said. President Buhari dismissed claims that he was a mystery being, Jubril from Sudan, having died and been cloned. He was responding to a question at an interactive session with the Nigerian Community in Krakow. A Nigerian living in Poland had wanted to know if he (President Buhari) was real or the much talked about Jubril from Sudan’’ -his supposed double. On the fight against corruption, he said all recovered stolen assets would be sold and the proceeds returned to the treasury for the benefit of Nigerians.